Here are some gorgeous and truly inspiring package designs that I ran into at Creature Comforts. I don't have a lot of experience with package design but seeing things like this makes me want to branch out! Designed for Marks & Spencer by illustrator Stuart Kolakovic. I feel soothed by this tea without even drinking it. Designed for Life.NK from Space.NK by illustrator Mio Matsumoto. 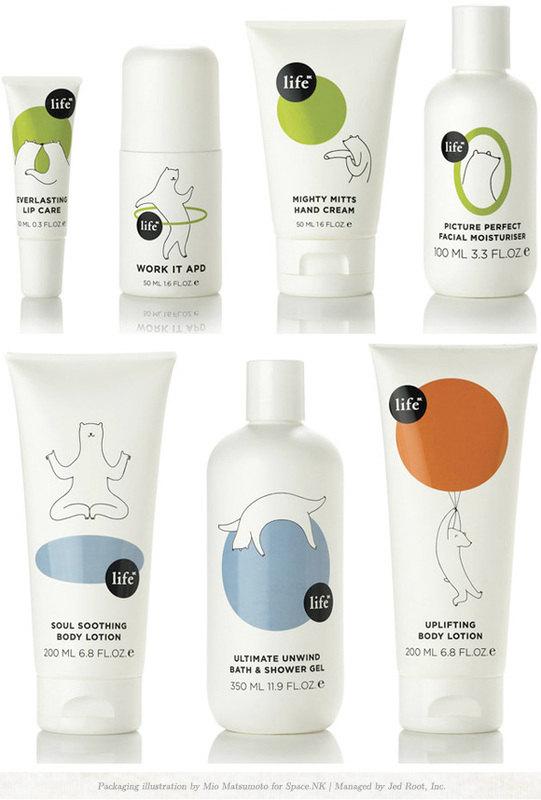 I love the simplicity of each illustration and the relationship to each product's intended affects. So cool! Designed for 8th Continent by artist Ben Javens. I love the use of color and the consistency across the flavors while still having each one look unique and identifiable. Great packaging makes my day. Thanks for the comment! Just to be clear I didn't illustrate or design these. I posted them as inspiration.